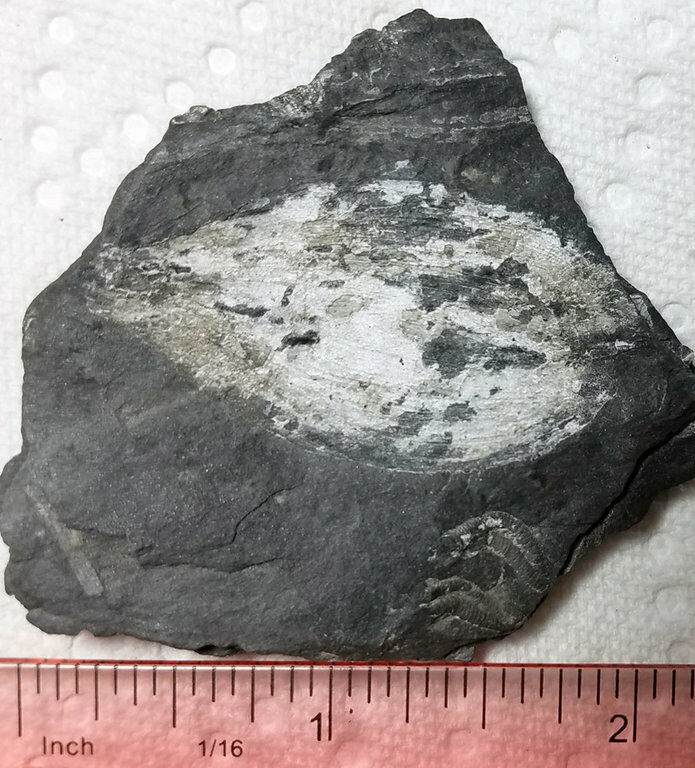 This album includes Carboniferous plant fossils my wife and I collected at St. Clair before the site was closed. I'm sorting the specimens now. 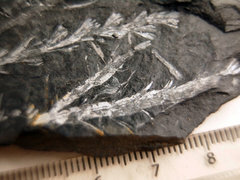 We have specimens of Alethopteris, Annularia, Asterophyllides, Cordaites, Neuropteris (and Cyclopteris), Pecopteris, Sphenopteris, Stigmaria (tree roots), Lepidophylloides, Lepidodendron, Calamites, and more. 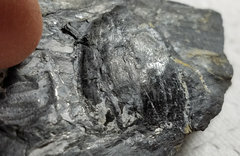 In the 6 years that we've been collecting fossils, paleobiological discoveries have clarified many of the form and species genera originally used to identify and group coal swamp fossils. 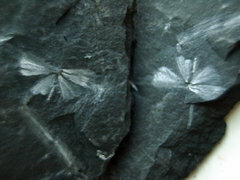 In the 19th and 20th century, many Pennsylvanian plant fossils were identified by shape or configuration. 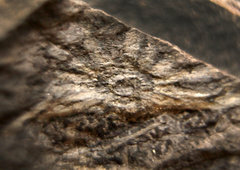 Consequently, many fossils were mistakenly grouped together, and some differently shaped parts of the same frond were given different species names. 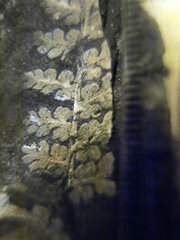 For example, the round Neuropteris leaves often found at the base of a tongue shaped Neuropteris leaf are often identified as cyclopteris which is a "form genus" originally used to designate a round fern leaf with veins. 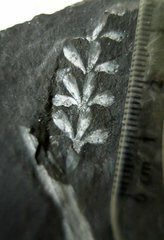 We are learning more about fossil seeds, also. 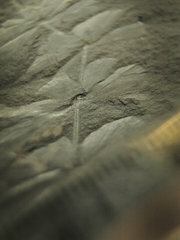 Trigonocarpus was the general catch-all name given to most Carboniferous seeds but now we are learning which seeds were associated with which trees and fossil leaves, most notably seeds that grew on the Medullosa family of trees. 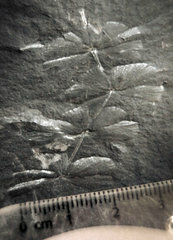 Like most fossil collectors, we are still attempting to understand the ecology of fossil plants and trees, how they evolved, and the role they played in evolution in general. 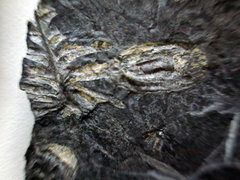 We believe that preserving fossils and displaying them are better than leaving them in the ground to decay. 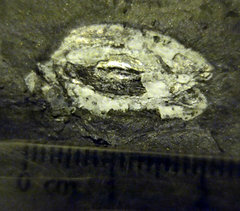 As you can see, our fossil seed hunting trip to St. Clair, a few years ago, was very productive. We knew what to look for and there were areas where there seemed to be more seeds preserved, probably where the "crown" of the Medullosa tree had been preserved since these seeds are thought to have grown on the ends of the umbrella shaped tops of the tree.